The shoes below are just a small sample of what is available from Rainbow Club Shoes, and we can order any style or size for you. 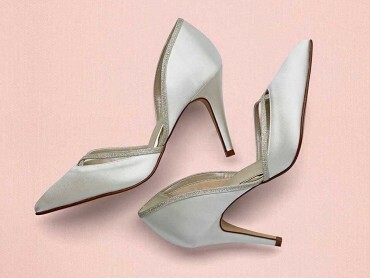 These chic satin courts are finished with elegant Silver Fine Shimmer overlays. 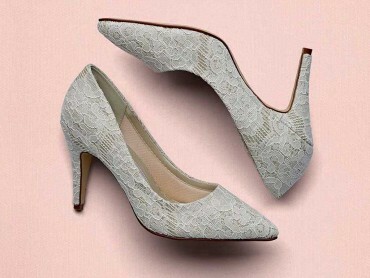 A fabulous pointed toe court in fine shimmer and ivory luxury lace. A gorgeous court shoe which shines in our super sparkly fabric. 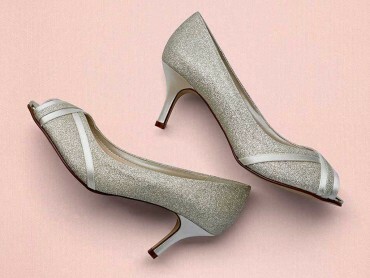 Shine with Iona, a neat peep toe court shoe in our super sparkly metallic fabric. The perfect match for the Saskia handbag. 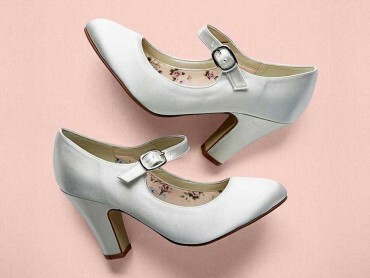 A Mary Jane style retro inspired shoe with an 8.5cm block heel. Available in ivory satin with a comfortable bar and silver buckle detail. A sassy sandal in our sparkly Gold Metallic with a gorgeous lattice front and ankle strap. 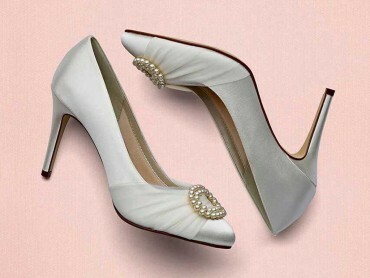 Very vintage styling and soft gold piping make this peep toe T-bar a 'must have' style. 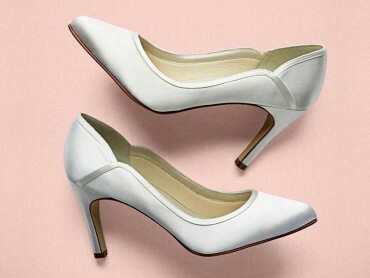 A sassy high peep toe court shoe with scattered ivory blossom. 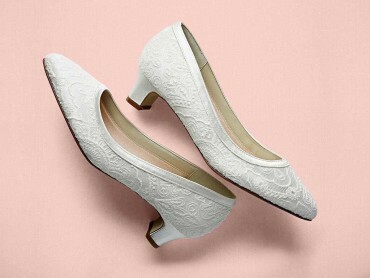 Lucy is an elegant court shoe with curvy overlays, the perfect shoe for trendy and classic weddings. 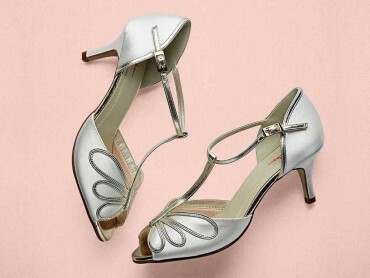 A sweet low heeled court shoe with a decedent Silver Fine Shimmer overlay. 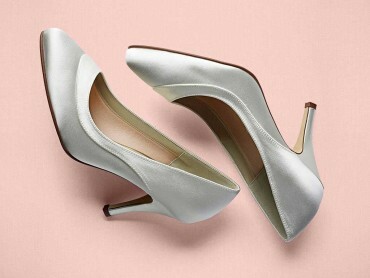 A gorgeous peep toe in our Silver Fine Shimmer with elegant ivory satin overlays. A simple and elegant shoe, designed for ultimate comfort and extra width. 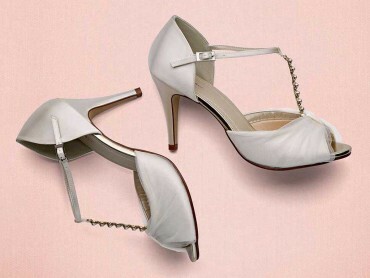 The satin overlay and 9cm heel helps to make a real statement. 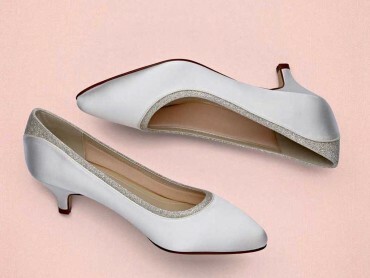 A gorgeous 9cm court wedding shoe in white satin with a stunning silver fine shimmer finish. Take a look at the sole of our shoes - there you will find a tiny token of good luck for our brides magical day and a true mark of Rainbow Club authenticity. Super pretty and brilliantly beautiful, Demi is designed for comfort and extra width - with a block heel, vintage lace and satin overlay.